Alan Colquhoun was a British born architect, historian, critic and teacher. He studied architecture at the Edinburgh College of Art and the Architectural Association in London. He started his own practice, Miller and Colquhoun. He also taught at the AA from 1957 to 1964 and was appointed at Princeton in 1981. Colquhoun is known for his constructive contributions to the discourse of architecture. His writing interests include the history of modern architecture, the classical tradition, semiotics, mythology and the avant-garde. Along with Frampton himself, Colquhoun was influenced by Sam Stevens, initial teacher of Rowe in Liverpool. They were situated at the center of the skeptically modern humanist circle. Interested in Hannah Arendt and Herbert Marcuse but most importantly the Frankfurt school. In an earlier essay by Colquhoun, “Typology and Design Method”, Colquhoun recognizes the heuristic value of typology in the generation of form. He argues that what we now understand of type and the role it might play in the future generation of form seems, to remain as valid as ever. Colquhoun’s affirmation of the type/typology as a preconceived bias will effectively tint much of his subsequent criticism. “From Bricolage to Myth, or How to Put Humpty-Dumpty Together Again” was published in Oppositions 12, during the spring of 1978. In the introduction, Michael Hayes mentions that his earlier essay, “Typology and Design Method” (published in Arena in 1967) already takes up a position, which is either borrowed or strongly influenced by Roland Barthes’s “Mythologies”. I would like to talk about “Mythologies” a little bit, because the understanding of Barthes’ addressing of Myths and Saussure’s (and later Barthes’s) developments in Semiotics is integral to the understanding of Colquhoun work, as he borrows these concepts quite a bit. Semiology according to Ferdinand de Saussure (the following is dramatically watered down, but it will help to understand where Colquhoun is coming from), is the study of existing conventional communicative systems and language is one of those systems. Other systems include mime gestures or street traffic lights (red->stop; green->go; yellow->slow down). In other words, these are modes of communication, which are expanded into every imaginable crack of thought. This is understood as a language or a system of signs. A word like “ship”, for example, is part of an associational network or cluster: a network could be, what it sounds like (hip, tip, use your imagination) or synonyms for ship… (barc, boat, bateau) and antonyms for it. Consider the concept/signifier for tree, as another common example, and its sound-image, the signifier. The association between the two things (the word and the actual thing) is something we make up ourselves in our own constructed sign system, language. Saussure concludes that there is an arbitrary relationship between concept images. The relationship, however, is necessary but arbitrary. I also want to address myths and/or mythologies, because it is also integral to understanding Colquhoun’s text. Mythologies is a text written by Roland Barthes. It describes a selection of modern cultural occurrences and seeks to dismantle their superficial, broad meanings by deriving the meaning that society has imparted upon them. In Mythologies, Barthes studies the signification of not only literature, but also sayings or prevalent customs in contemporaneous life. For Barthes, words and objects say something; since they are signs, words and objects can be taken at face value by the user, without questioning their truth or necessity. As we see later, Colquhoun’s reading of Graves’s buildings is influenced by Barthes’s reading of contemporary culture… signs are vast in scope and make up our culture’s varying systems. Playing with these preconceived notions of signs is what Graves does, according to Colquhoun, throughout the various phases of his work. Mythologies finds Barthes revealing the molded organizations of ideas that make it possible, for example, for a word like Einstein to stand for the myth of the genius. “Mythologies” seek to decompose everyday but fabricated myths and strives to expose their contrived cultural position. The myth is a kind of sign, Barthes argues. 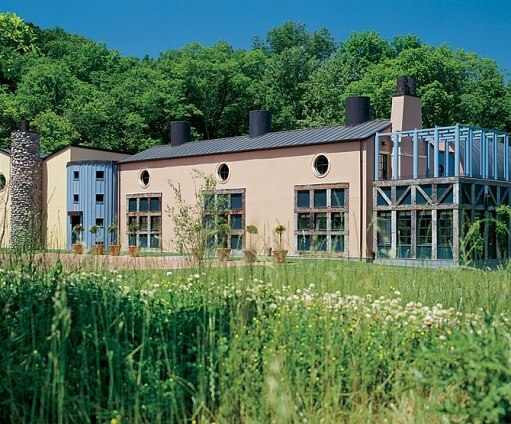 Colquhoun’s essay, “From Bricolage to Myth” focuses on Michael Graves’s work. Graves was an American architect part of The New York Five. 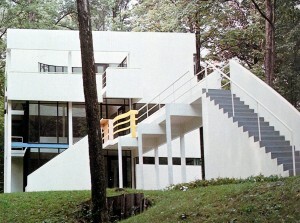 In the beginning of his career (1960s), Graves designed residences in an abstract style of Modernism. He cites Corbusier as an influence. 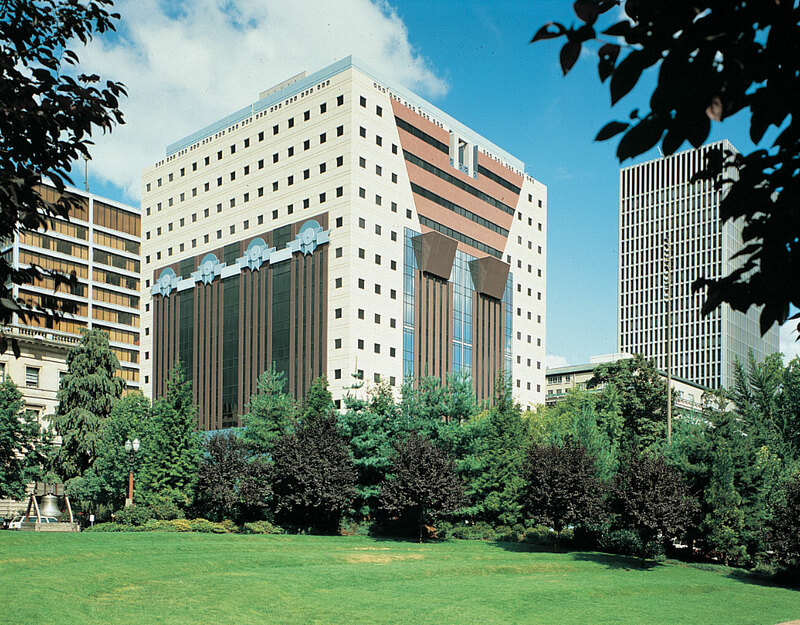 In the late 1970s, Graves shifts his focus to the design of public buildings: the Portland Public Service Building and the Humana Building in Louisville, Kentucky. These buildings are both known for their massive appearance and Cubist reinterpretations of classical themes of colonnades and loggias. Colquhoun structures “From Bricolage to Myth” by comparing Graves’s early work and his later work. Graves’s early work, Colquhoun states, looks at the architecture of Modernism (specifically Corbusier and Terragni) and Cubism. He either furthers arguments set out by the modernists or opposes them but modernism’s overarching ideas are tackled one way or another. Like Corbusier, his early work (ex: Hanselman House 65 and Snyderman House 69) is concerned with the plan (ground) and the vertical plane (the wall). The fundamental organizing elements are the frame or grid which create a Cartesian field upon which planes are placed. In this case, the wall’s function is simply to modulate space. He draws and addresses these elements so as to investigate conventional concepts of ‘house,’ analyzing as layered, overlapping, “adumbrated”, which brings to mind Cubism. In Graves’s work, the plan is still thought of as possessing figural characteristics, which generate the vertical and spatial arrangements in the manner of Corb. The work suggest collage built up out of fragments…every function being a clue for syntactic intricacy and a metaphorical condition. In his earlier work, the buildings become bricolage of recognizable figures complete with their historical implications (Fargo Morehead project): unconcealed reference to Ledoux’s barrel shaped house for the director of the river. Here, Ledoux reduces classical motifs to pure geometrical figure which then allow his forms to release classic impressions. Grave’s work depends, because it refers to it constantly, on 18th century innovative theory and not on historical overtones. By 70s, Graves becomes discontented with his treatment of the plan, which leads to the fundamental change in his architecture. He is now interested in sculpting space from solid masses. This is the era of the Portland Building, (or Crooks house). The architecture feels heavy as opposed to his lighter early periods. “The wall now takes the place of the frame or grid as the main organizing element” (Colquhoun 344). Consequently, the space is no longer contiguous but made up of distinct 3-D figures constrained by walls or colonnades. The walls develop thickness and the negative and solid spaces are read as poché. “Figural space is carved out of solid mass. 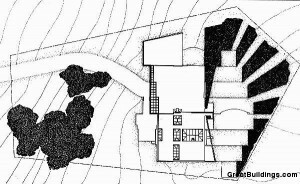 In Crook’s house, the early sketches show no difference between house walls and garden hedges define space in solid and void. This results in metaphorical relationship between house and garden. Topiary defines internal spaces- ambiguity between fully enclosed and semi enclosed space fragments of architectural motifs are assembled to create a balanced asymmetrical whole” (Colquhoun, 344). “Signs” feature more prominently in his later designs. Graves’s work is a developing dialectal of symbols. This newly created language pushes Colquhoun’s reading. This reading brings us closer to what elements are signifiers, which elements in the architecture are recycled signs from past architectural languages. Graves’s buildings bring us into the territory of the semiotic building. In his later work, Graves favors classicist garden structures (topiary, trellises) or architectural treatments which are associated with mythologized environments. (Rustication, grottos, Cascades and ruins) These are qualities which unite the two phases of Michael Graves’ work and allow him to use the language of cubism and of the classical tradition to recreate an architecture out of its primeval basics. To offer a new interpretation of architecture. The essay also compares Eisenman to Graves by saying that although Graves’ early work resembles Eisenmans early work, in their aesthetically similar way of treating planes and grids, Eisenman’s work is syntactic… It refers both to particular sets of rules, and also to the academic field that studies those rules. Graves is primarily semantic (is the study of meaning. It focuses on the relation between signifiers, like words, phrases and symbols, and what they stand for). Finally, understanding Graves’s work stresses that we undo of the prejudices, which allows us to have an expedient and superficial idea of what a dwelling is, and in order for the spectator to engage with architecture, he or she must reconstruct the object. “The reconstruction of the object, made possible by analysis and reduction, involves the use of codes (signs) which are themselves meaningful and internally coherent. Grave seeks to de-historicize and must be reconstructed as structure. He demonstrates the process by which meanings are generated; this leads to a language whose articulation depends on oppositions, fragmentation and visual pun. In this process he’s not stripping the elements of their connotations like Peter Eisenman. Columns, openings, space all retain their qualities of body image and the meanings which have accumulated around them. Basic architectonic elements have meanings which related to their functions, their isolation allows them to become metaphors” (Calquhoun 339). Grave’s early work explores the language of structure (columns, walls, ceilings, etc) and spatial arrangement and form dialectal to serve his exploration of architecture as a system of signs. He removes elements from their historic function and collages them into new frameworks. He excels at forming nuanced compositions of signs that scrutinize the concept of the Dwelling. He does this by reconstructing and therefore reinventing the Dwelling. By mythologizing and reconfiguring, re-contextualizing and readdressing given architectural symbols, Graves’s develops a new language.